At the end of the Injen Intake is the Injen High Flow Air Filter Element The Injen air filter that can be cleaned and reused for as long as you own the vehicle. An incorporated velocity stack smooths out airflow to help maximize power gains. 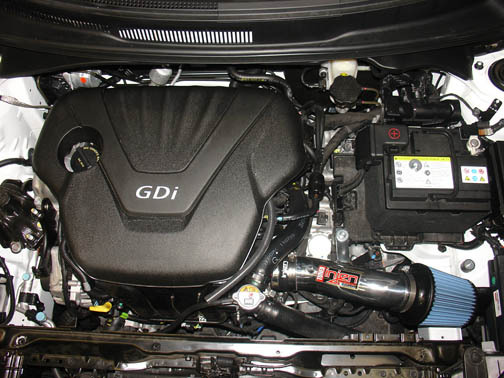 Comprehensive installation instructions including photos make installation of your new Injen Intake easy enough to do yourself with basic hand tools in a couple of hours or less. Everything you need to install this air intake is included and the intake comes with a lifetime warranty.